الخيار الأفضل للحصول على المتعة والاسترخاء, Oasis Apartments and Treetop Houses يقع في منطقة تاون سنتر في خليج بريون. يمكن من هنا للضيوف الاستمتاع بسهولة الوصول إلى كل ما تقدمه هذه المدينة النابضة بالحياة. كما يمكن الوصول بسهولة إلى تالو, بلاك دوج سارفنج, ‪All The Sales‬. استمتع بالخدمات الراقية والضيافة التي لا مثيل لها بهذا الفندق في خليج بريون. يقدم هذا الفندق العديد من الخدمات الكفيلة بإرضاء أكثر الضيوف تطلباً. استمتع بوسائل الراحة الراقية في الغرف أثناء إقامتك هنا. بعض الغرف تتضمن إغلاق, تلفزيون بشاشة مسطحة, صوفا, اتصال لاسلكي بالإنترنت, حوض الاسترخاء لمساعدتك على استعادة طاقتك بعد يوم طويل. صممت خدمات الاستجمام في الفندق والتي تتضمن مركز للياقة البدنية, ساونا, مسار جولف - ضمن 3 كم, حمام سباحة خارجي, سبا لمساعدتك على الاسترخاء والراحة. 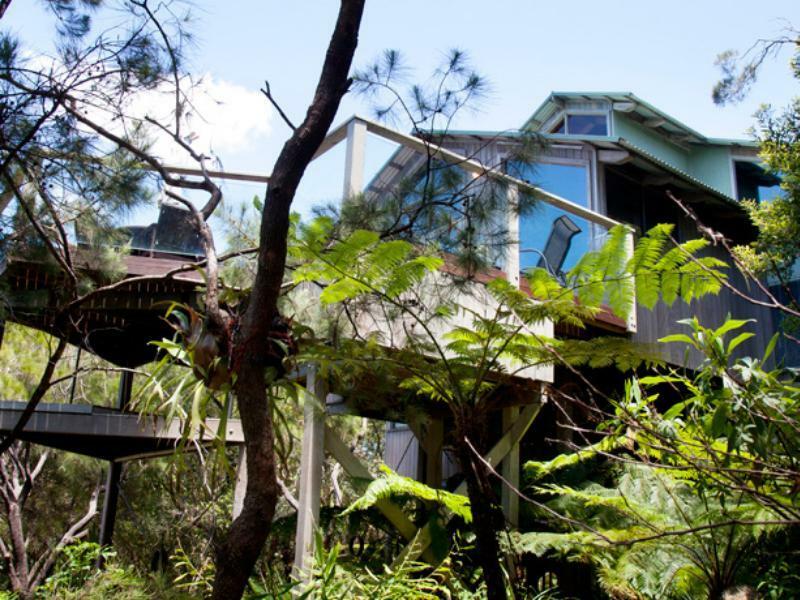 إن Oasis Apartments and Treetop Houses هو خيارك لخدمة الفنادق الراقية في خليج بريون. Nice quiet location away from the hustle and bustle of Byron Bay but it does mean you need a car as a good 30 minutes walk. The facilities are good with a lovely pool and gym. The apartment a little tired and could do with a upgrade and the wifi not available in the full apartment which is a consideration for data hungry kids in an evening. 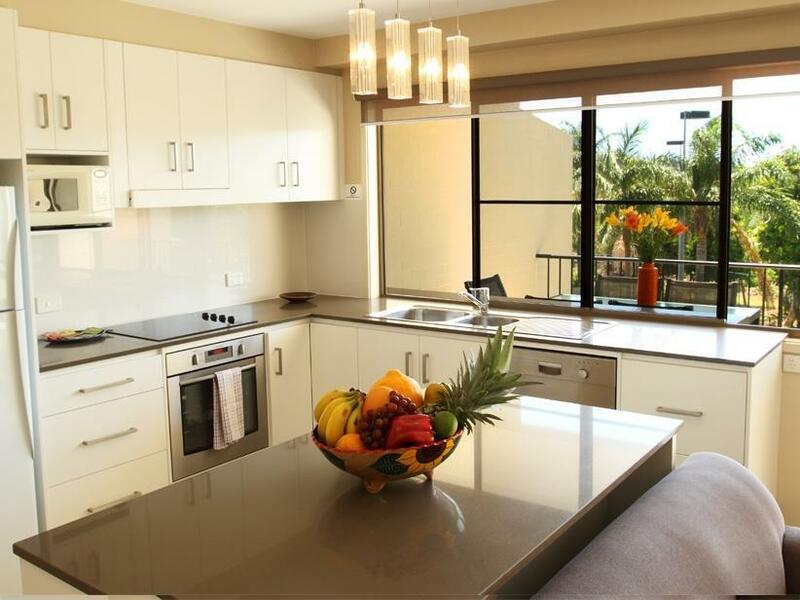 Good apartment option to stay just outside Byron town centre. The pool area is nice with ample sun loungers. As each apartment is separately owned I guess they are all different. Ours was number 4 and well decorated. Only suggestion is to provide some staples such as butter, spreads, oil etc. about a 20 minute walk into town. Would recommend this place to family and friends, the place is spacious and has many facilities that caters to all sorts of travelers, especially families and groups. Room absolutely stunk on arrival, the place hadnt been cleaned at all. Sticky beer stains and sand all over the table outside. Dust EVERYWHERE. Was sneezing the whole time. Really disappointed. Internet drops out and there was no Foxtel box at all even though the site states there is. Would not recommend to anyone. 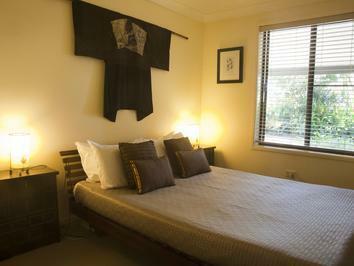 Clean and spacious apartment with good aircon and wifi. Quiet rooms with comfortable beds. Covered parking. Sat Nav took us to adjacent street though. The apartment was a bit aged . There were things which need attention. Eg design faults. You could not close the bathroom door(ensuite) or the shower door crashed into it. Tiles a bit tired. In the main bathroom , a glass shelf near the bath could be very dangerous. 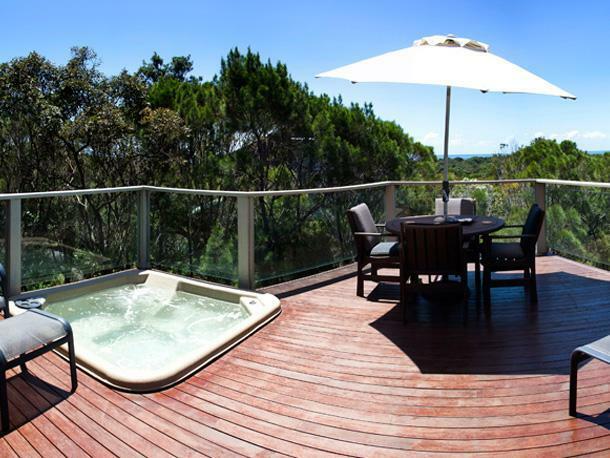 No sea view but a 10 minute walk to the beach through bush land which is pleasant. Lounge on verandah quite stained. 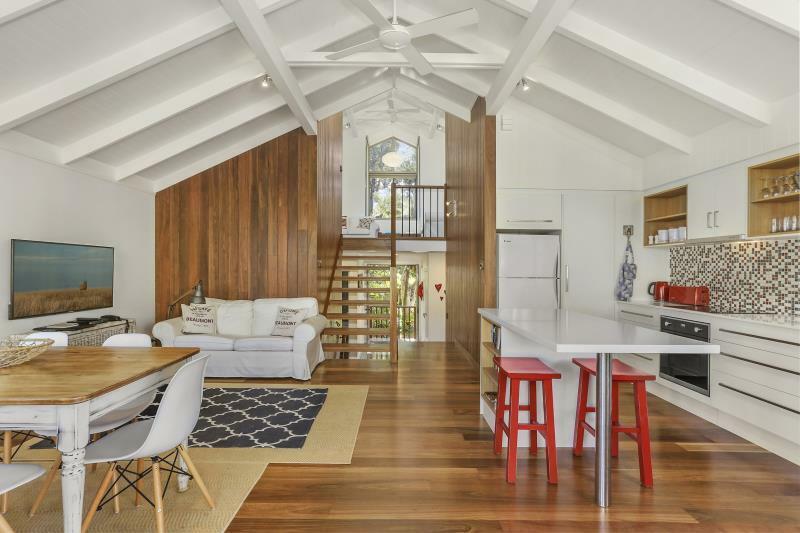 While we always knew Byron Bay would be an amazing weekend away, getting the accommodation right was crucial. Apartment is very spacious, clean, comfortable and centrally located if you have a car. Facilities are adequate and in very fine condition - sauna is amazing. Most importantly the staff are very nice and friendly and always available to assist. Thank you Team Oasis for making our stay one of the best ones in Australia. modern , privacy. the gym is Heaven. very very well done. Clean and well maintained facilities within apartments and around grounds, friendly staff and great value for money. My husband, 2 year old and I really enjoyed our 8 night stay at the Oasis Apartments. We would definately come back and recommend it to others. Not that far from town centre though not close walking distance so would recommend getting a car for frequent trips into town, beach and to the beautiful surrounding areas. very nice room we didn't want to leave. I think we got one of the updated rooms though as we had seen next doors which had not been updated yet. I would highly recommend. It is also 10 minute walk to the beach and about 30 minute walk into town. Location right on the edge of the national park/beach. Quiet neighbourhood. Clean well equipped apartments. 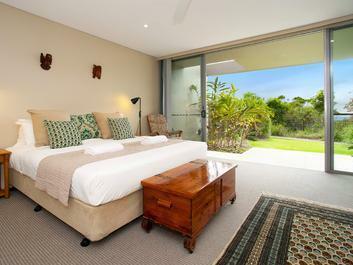 Excellent stay, we really enjoyed byron bay and the apartments were in a lovely location. was ok, but the air conditions wasn't working, so it make the apartment very hot. Absolutely beautiful. Pool and games room to keep our 6 year old amused. Beautiful clean rooms, great layouts, cool from the heat outside. Friendly and helpful staff! Undercover Parking space.